Our office – also home to gorgeous dog, Waffle – features modern office space alongside R&D facilities and a demo suite and has given us the ideal environment to really start to build our business. Welcome to our rural office! Home > General > Welcome to our rural office! 13 Feb Welcome to our rural office! We’re rather lucky at Agile to have a beautiful setting for our office, based on the outskirts of the historical city of Winchester, which we’ve been in now for just over a year. Also home to gorgeous dog, Waffle, our HQ features modern office space alongside R&D facilities and a demo suite, and has provided us with the ideal environment from which to really start to build our business. 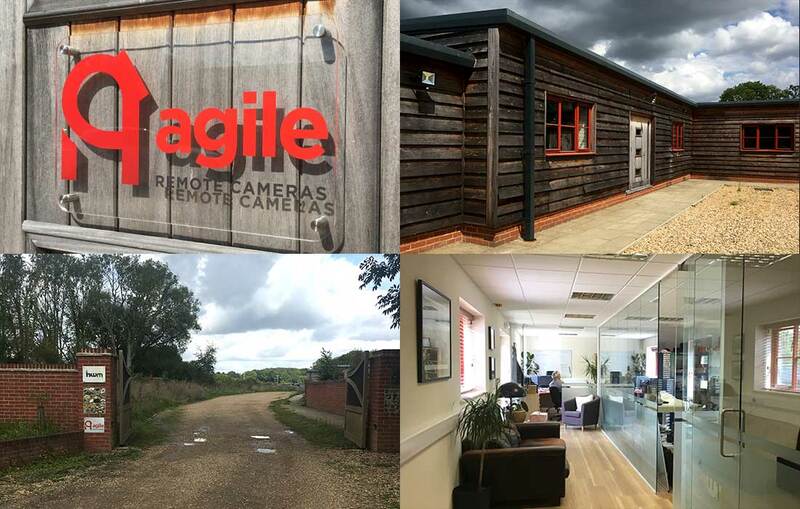 We have an open door policy at Agile Remote Cameras, so please feel free to drop in at any time to have a chat about your latest projects, or simply to have a play with the latest cameras, controllers and ancillary products. We’ll get the coffee on and a nice lunch organised!